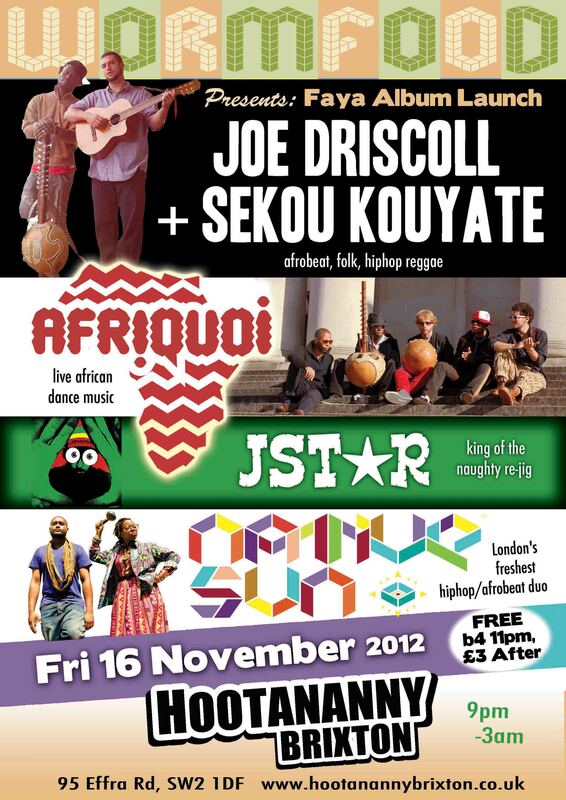 A night of Afrobeat, hippo loops and bass shaking reggae. After their recent trip to Kenya's Rift Valley Festival Jstar reunites with Joe Driscoll & Sekou Kouyata for their album launch, and believe me we had a great time in Africa; plus support from Afriquoi and Native Sun. Please note that due to recent restrictions there is no entry after 11 pm at Hootenanny's!